Riviera Nayarit Mexico Blog: Riviera Nayarit Rocks! Every Thursday, Hangar is playing at Marina Riviera Nayarit and rocking everyone with a spectacular show. Thursdays mean rock in Riviera Nayarit. Marina Riviera Nayarit has announced that starting this December, the rock band Hangar will be playing at a spectacular stage that allows viewers to enjoy the beauty of our destination during the evening hours at the Taikai sky bar of the La Cruz de Huanacaxtle Yacht Club. The shows will be open to the public and as a token of commitment with society, beers and margaritas will be offered at truly affordable prices: $15, and $25 pesos, respectively. The organizers have stated that they intend to bring the community closer to this nautical development that has become one of the leading marinas in Latin America because of its technology and avant-garde design. Hangar is a rock band from Guadalajara with a repertoire focused on entertaining. They play classic rock covers, hard rock, ska and reggae, and songs both in English and in Spanish. Their lineup includes guitarist Leonardo F. Espinoza, vocalist Arturo Cervantes, drummer Eden Fernandez and bassist Roberto Miranda. This acclaimed group has already played at other entertainment forums in our region. 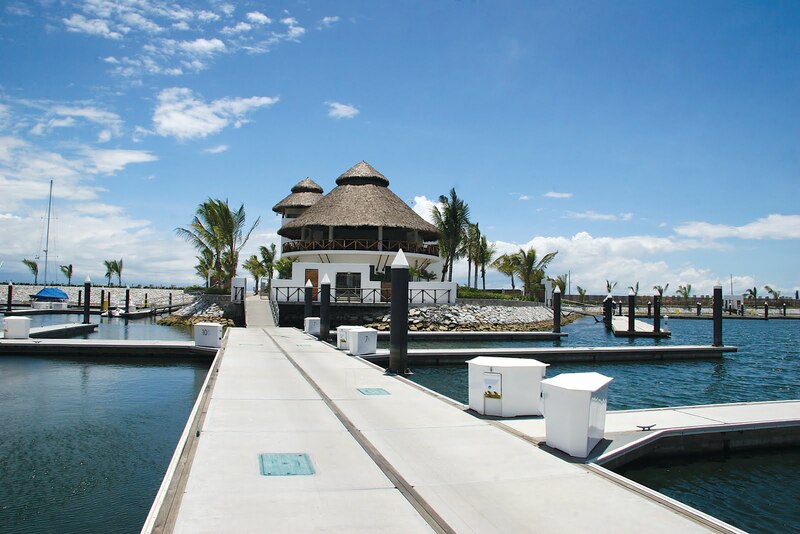 Marina Riviera Nayarit at La Cruz has 351 slips to dock vessels ranging from 31 to 400 feet, offers the highest quality services and has been designed to become the best marina in Mexico. This year, together with the Vallarta Yacht Club in Nuevo Vallarta, Marina Riviera Nayarit hosted the Copa Mexico Edicion Nextel Bicentenario regatta, the 2010 Riviera Nayarit Junior Fishing Cup and the International Tuna and Marlin Fishing Tournament of Riviera Nayarit. The Marina also has a sailing school that focuses mainly in the junior and teenage categories of the Optimist class, and has also coached competitors for the 420 and J24 categories, which have attained important accomplishments at competitions. The Convention and Visitors Bureau congratulates Marina Riviera Nayarit, not only because of the large infrastructure development to attract nautical tourism to our destination, but because of the organization of tourist attractions like the rock nights, which provide entertainment at affordable prices. You can't get enough of Riviera's nightlife. I spent my vacations in Riviera Nayarit, and had the greatest time. Cool drinks, beautiful people, great music. I recommend Coco Bongo and Glazz. Wild and fun!